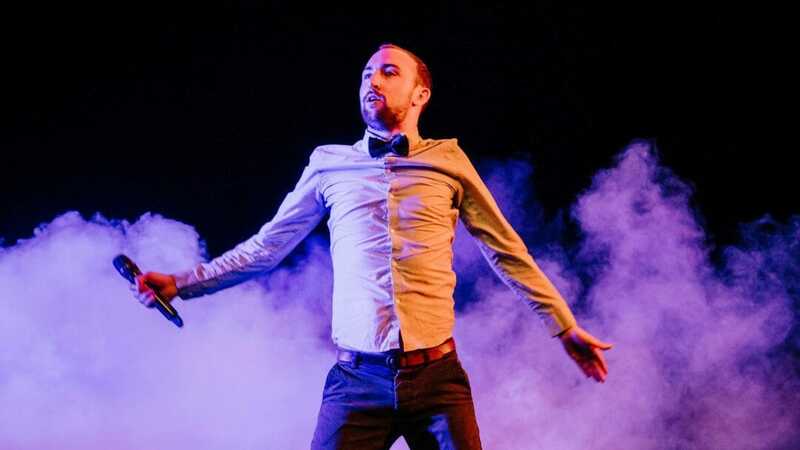 Following a sell-out Edinburgh Festival Fringe run, a BE Festival Audience Award, and various international awards, We’ve Got Each Other comes to the Vault Festival in London before a UK wide tour. Hold on to your mullet for the spectacular Bon Jovi jukebox musical… except, it’s up to the audience to imagine it all, with the help of just one man: theatre maker Paul O’Donnell. Modern jukebox musicals usually involve a multi-talented cast, an orchestra, opulent sets, decadent costumes, extravagant routines, dramatic key changes and the odd hydraulic lift or two. We’ve Got Each Other has none of these things (they cost lots of money), but Paul will still try to create an all-singing, all-dancing spectacle simply using the power of imagination. Through entertaining descriptions of the show as it unfolds, and 180+ lighting cues, Paul will invite the audience to ‘fill in the gaps’, imagining the breath-taking and tragic love story of Tommy and Gina. Expect glitter balls, high camp and one incredibly catchy 80’s tune. This feel good show celebrates the community that is formed when artist and audience meet, and the extraordinary things that we can achieve when we come together, if we just… believe. We’ve Got Each Other won the BE Festival Audience Award 2018 as well as the Young FITT Festival’s Audience Award and Best Performer Award in Spain. In 2017, the show was awarded BE Festival Early Ideas Award and China Plate’s First Bite Commission. The show sold-out at the Pleasance at the Edinburgh Festival Fringe. We’ve Got Each Other is at VAULT Festival 6th – 10th February 2019.